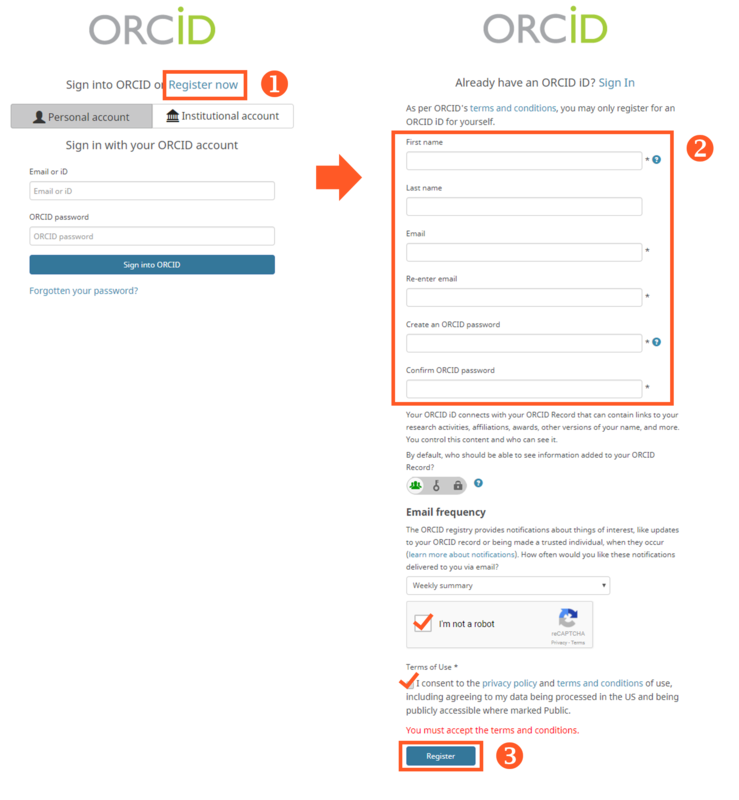 If you are new to ORCID and haven't got an ORCID account, follow the steps below to create an ORCID account and in the meantime authorize the Library to update publication records for you. Granting authorization to the Library will enable automating the population process with publication records from PolyU Institutional Research Archive. This ensures that your ORCID profile is enriched from multiple sources, in addition to Scopus. The Library will notify users before making any changes. Contact us if you encounter any problems (e.g. Registration Error) at this stage. 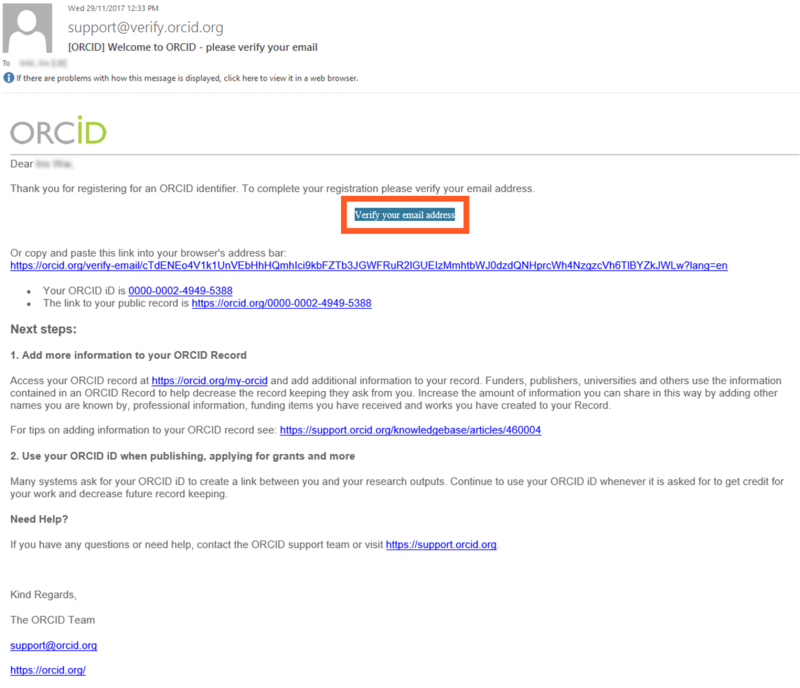 Please include your ORCID iD in the email. You will receive a verification email shortly. Click on "Verify your email address" link to complete the registration process. 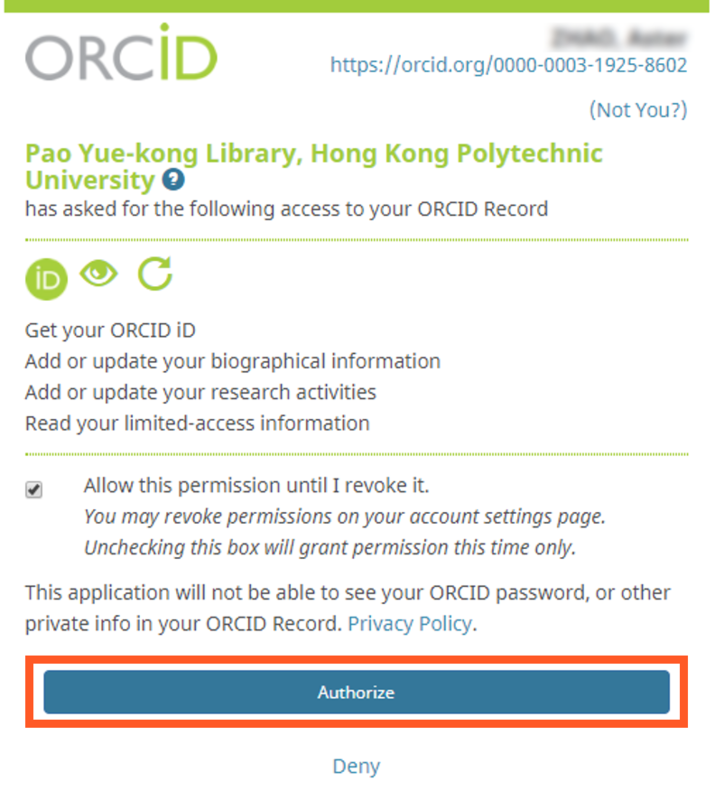 A new Employment entry (for staff) or Education entry (for students) is added to your ORCID profile. The source of the entry is "Pao Yue-kong Library, Hong Kong Polytechnic University".